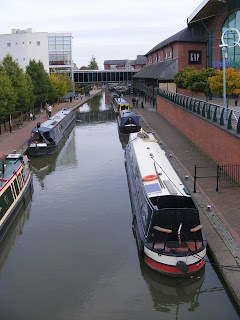 Even if the Lapal Canal cannot be reinstated across the Battery Site the development will still be a canal side development due to the Worcester & Birmingham Canal. Here are some examples of canal side developments in other areas showing how the canal can be used as a feature with a retail or mixed use development.. In Banbury a retail complex has been placed next to the the Oxford canal. 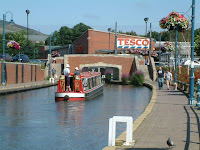 It fronts onto a main street but has a side aspect to the canal. Interestingly a car park for the development is on the opposite side of the canal. But the development still 'works' as a retail park. 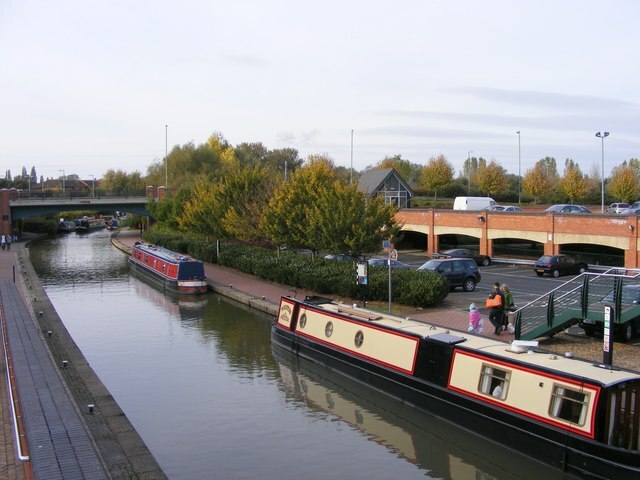 This project also features a service mooring for canal boats and a heritage centre. The restored Huddersfield Canal in Stalybridge is another fantastic example of a canal side retail development. 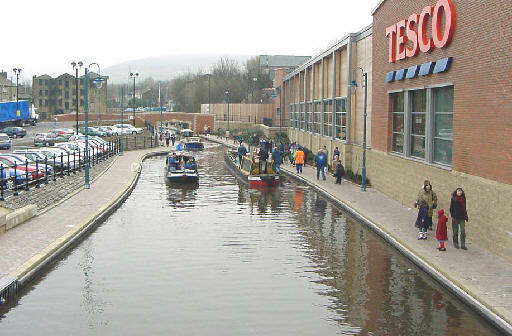 Here the canal had been filled in but was excavated and re-watered to create this canal side development incorporating a supermarket. Notice again that car parking and retail are separated by the canal and also that the retail elements are raised above the canal. 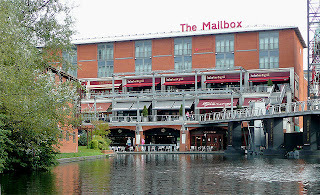 Closer to home Brindley Place and the Mailbox in Birmingham are excellent examples of mixed use developments with offices, hotels, restaurants and retail clustered around canal junctions and basins. 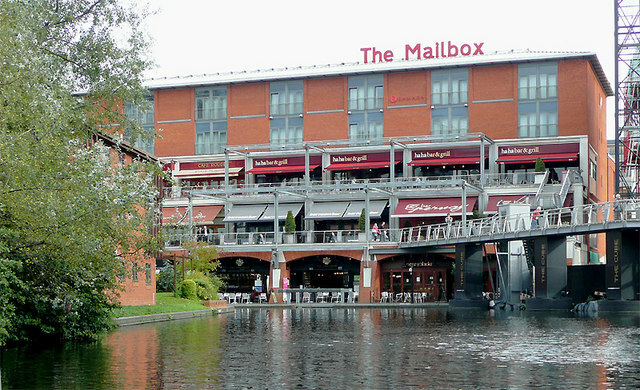 Mailbox, Birmingham. Copyright Roger Kidd and licensed for reuse under this Creative Commons Licence. 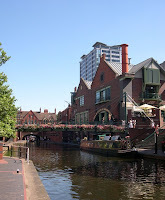 Narrow boats galore in the centre of Birmingham. Copyright Ivor Caplan used with permission. 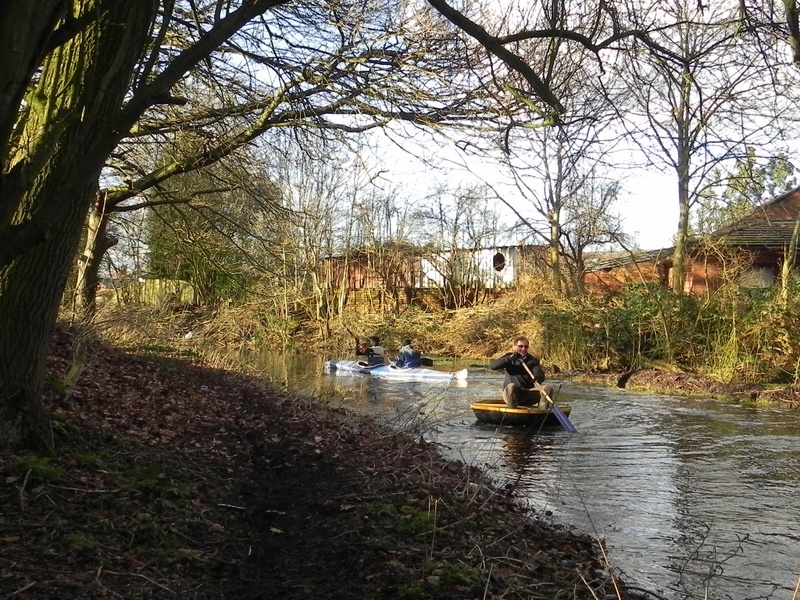 A reinstated Lapal Canal would not just be for narrow boat enthusiasts! 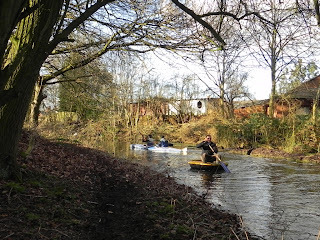 Extended into Selly Oak Park with a slipway behind the Scout Hut the canal would add an interesting feature to the park and could be used for canoeing and other activities as this recent picture taken in the park shows! Boating on the Lapal Canal in 2013. Copyright LCT used with permission. Some may worry about flooding but a properly managed canal connected to the waterways network should never flood as water levels can be managed via overflow weirs and reservoirs.